Are you marketing your B2B business on Facebook? BuzzSumo recently did an awesome webinar with Facebook expert Mari Smith, during which she answered 56 questions (mostly from marketers) about how to best use the social media giant. Here are some of the most interesting and actionable takeaways we got from the webinar. 1. The best time to post might not be when you’d expect. Mari and BuzzSumo found that the best time to post on Facebook is…wait for it…between 10 and 11pm local time. Thank goodness for social scheduling apps, am I right? 2. Don’t use hashtags on Facebook. We’ve said this in previous posts, but it’s important to know which social media sites are hashtag friendly (Twitter, Google+, Instagram, Pinterest) and which aren’t (Facebook and LinkedIn). When asked if hashtags hurt you on Facebook, Mari cited BuzzSumo’s analysis of 1 billion Facebook posts that showed those without hashtags were shared more frequently than those using them. 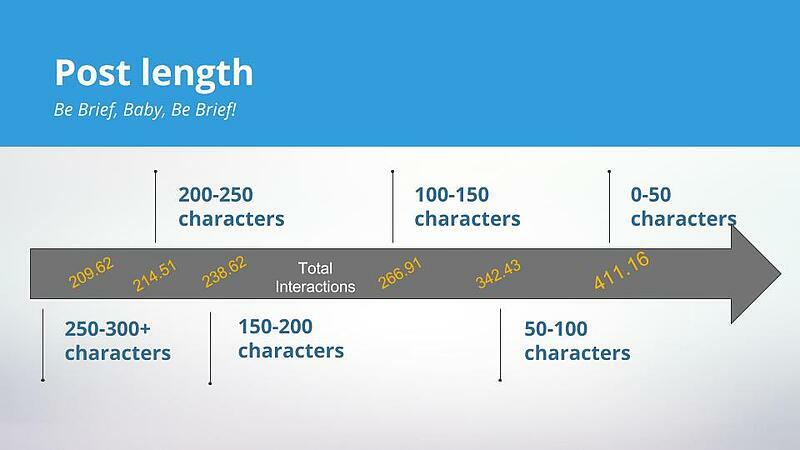 BuzzSumo found that shorter posts perform far better on average than longer posts. Therefore, try to keep your Facebook posts short and sweet—less than 50 characters if possible—in order to get the most engagement and interactions. 4. Try out Facebook Live. One attendee asked if it was better to wait until her company could produce a “really slick” video, or if they should just jump into Facebook Live video broadcasting. She suggests starting out by finding a common question about your industry, brand or product, finding a quiet place in your office to test out the video and audio, and then do it! Go live! Try to broadcast for at least 10 minutes. Remember that down the line you can always improve different aspects of your video (lighting, microphone, CTAs, etc.). 5. Include branding early in uploaded videos. Another video component of Facebook is uploaded videos. If you’re already uploading videos to boost your engagement—or plan on doing so—make sure you include your company name and/or website early on in the video. That’s because, according to a Nielson study, most of the value is delivered in the first few seconds of a video: 47% in the first three seconds and 74% in the first 10, after which your audience might lose interest. 6. Always keep mobile in mind. Mari notes that over 90% of Facebook users access the site via mobile, and over half access the site exclusively on mobile. Therefore, when you’re developing your Facebook marketing strategy, it’s important to keep mobile users in mind. Allow audience optimization for your posts and choose from a variety of targeting possibilities, including interests and demographics, to identify and target exactly who you’re looking for. 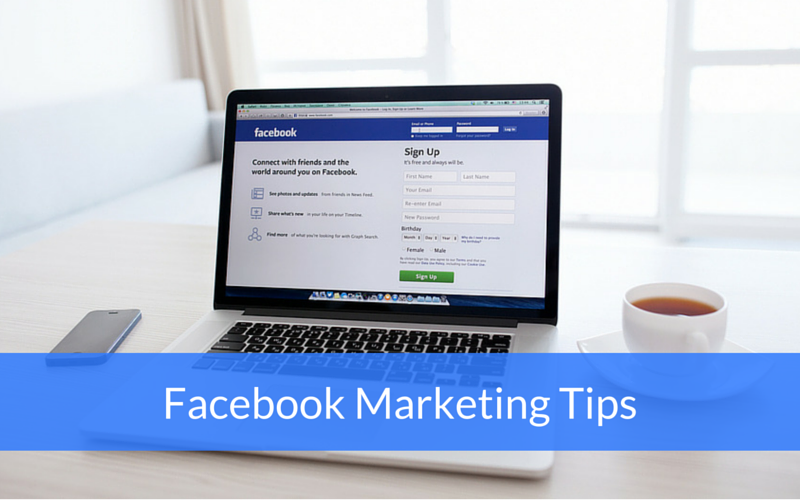 These Facebook marketing tips are overall best practices, but you’ll never know exactly what works for your specific audience until you dive in and test the waters.